It is required for us to be united as fellow laborers in the work of the lord. We need to seek the benefits of unity and peace of the churches that we oversee. We need to be concerned for the well being of the whole work of God. We need to strengthen the common cause that we all serve, as well as the welfare of particular members of our flock. That is, we need to have a wider vision for the further enlargement of the Kingdom of Christ (than just of our own fellowship). As ministers we need, therefore, to hurt when the Church is wounded. Instead of being leaders of schisms, we should lead in the initiatives that prevent divisions and that seek healing. Day and night we should be devoted to finding ways to close any breaches that may develop. We must not only talk about church unity, but actually seek and serve in its cause. We should not only look for peace, but we should follow after its pursuits when it flees from us. We need to keep close to the ancient simplicity of the original Christian faith, and build our foundation on its original unity. We need to keep close to the ancient simplicity of the original Christian faith, and build our foundation on its original unity. We must abhor the arrogance of those who harass and tear apart the Church of God under the pretense of correcting errors and holding to "the Truth." The sufficiency of Scripture, of course, must be upheld; but do not let others add anything to it. We must learn clearly the distinction between certainties and uncertainties, between fundamental issues and speculative theories of explanation. Then we can clearly distinguish the fundamentals of the faith from those that are merely private opinions. The peace of the Church depends on the former, not upon the latter. We need, therefore, a sound proof of historical theology to see the ways in which the Church has struggled to maintain the truth. We also need to know the writings of the early fathers so that we may benefit from their clearer teachings and explanations. But none of these is in itself the basic rule of our faith or of our love for God. How tragic it is that there are those who tear their brothers apart as heretics before they made any effort to understand them. We must learn to understand the basic reasons for controversies, and then reduce them to the point where we see the differences between genuine differences instead of just seeing the prejudices. Then we will refrain from making the differences worse than they really are. Instead of quarreling with our brethren, let us rather cooperate against our real and common adversaries. That is why it is important for ministers to associate and to enjoy friendships, as well as to cultivate correspondence. Let us therefore meet constantly to serve this aim of unity. Then we shall find that smaller differences of viewpoint will not interfere with our fellowship together. We must do as much of the work of the Lord in unity and harmony as it is possible to do. We must do as much of the work of the Lord in unity and harmony as it is possible to do. This is not to rule over one another and to make laws, but to avoid misunderstandings and to consult for mutual edification. To maintain love and communion together is what the word of God has commanded us to do. If only all ministers of the Gospel had been men of peace and of a catholic rather than a factious spirit, the Church of Christ would not have been in the situation of division that now exists. Ongoing bitterness to each other only strengthens the common enemy. But it hinders the building up and well being of the Church which it should now be experiencing. Article copyright © 2005, Richard Baxter. 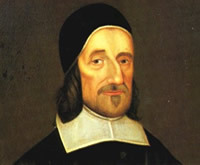 This article was originally penned by Richard Baxter in 1656 for publication in The Reformed Pastor. It has since been abridged and edited by James M. Houston, and published by Multnomah Press.